Emperor Royal Oak has a timeless oak décor with medium warm tones. The 12mm thick planks have board dimensions of 162mm wide by 1212mm standard lengths. Today, laminate flooring is so advanced in its production that it can be difficult to distinguish between it and real wood flooring. Royal Oak is a traditional medium to dark oak wood décor. Suitable to all interiors this board will provide comfort and warmth to any home. With milled bevels on all 4 sides of the board it can add definition and character to any room. This range has an impressive 30 year limited residential warranty, so you can rest assured in the knowledge that your floor will serve your home well for years to come. 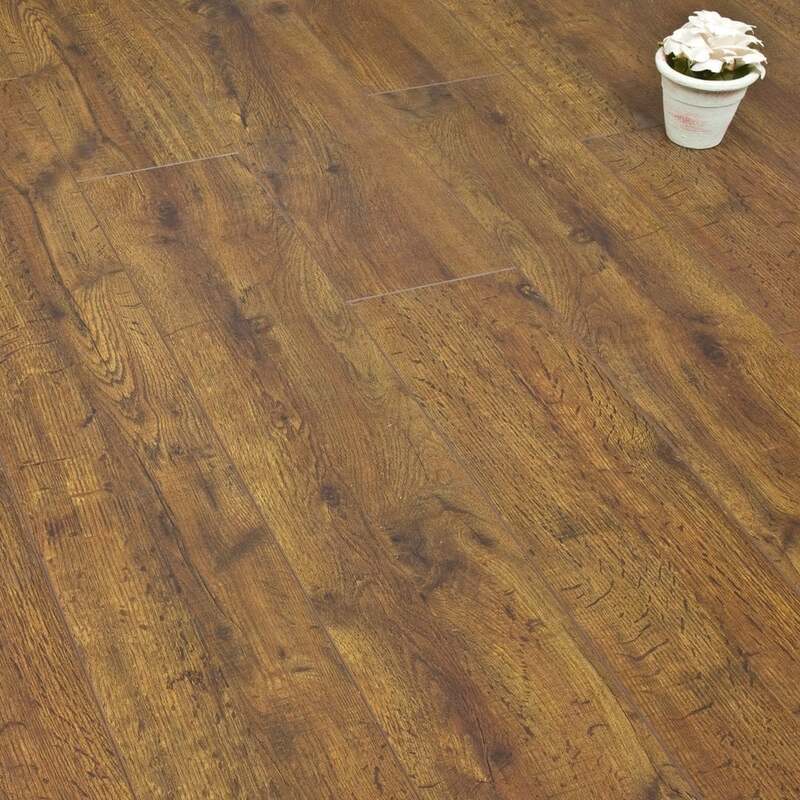 Having seen many laminate in discount price at various other online/stores.... I feel V groove 12 mm is the best of all. It has deeper grooves compared to normal and it interlocks better. I am being told by my fitter that these laminate don’t show the joint due to the Vgroove they have! If you are going laminate would highly recommend Vgroove.